Fedgroup has provided funding to install solar panels on the roof of a school in the Nelson Mandela Bay area enabling Brylin Independent Learning Centre to both earn rent and reduce its energy bills. Nelson Mandela Bay is also the only municipality in South Africa that allows renewable energy to be sold back into the grid. This exciting initiative shows how you can both invest and earn while doing good at the same time. As an Impact Farmer, you can buy one or several panels and earn a share of the income from the electricity that is generated and sold. Read the article below for more information. Interested? Download the Fedgroup App today on the App Store or on Google Play. 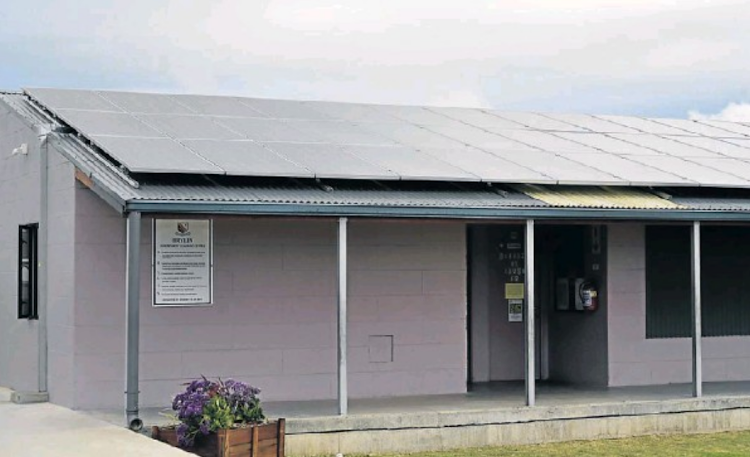 With the completion of a solar installation on its roof, Port Elizabeth’s Brylin Independent Learning Centre is now able to rent its roof space for the generation and export of renewable energy to the electricity grid. Brylin has partnered with Energyworx, a Bay energy services company, Johannesburg based EPC (engineering, procurement and construction) company, Emergent Energy and financial innovators FedGroup, to create a “green energy circle” through FedGroup’s Impact Investment Platform. Brylin rents out its roof space to Emergent Energy, which installs PV panels, generating renewable energy that is sold to PowerX. Brylin signed a power purchase agreement with PowerX to buy the same energy at a discounted rate. Brylin is now earning rental income, reducing its electricity bill and eliminating electricity-related carbon emissions. Energyworx managing director Khaled El-Jabi approached Brian and Jenny Elliot, of Brylin, with a proposal aimed at providing reliable rental income for the school and securing a discount on the power bought, while developing a plan for the school’s own solar installation to power its own consumption. The Elliots’ enthusiastically accepted the proposal and have been instrumental in paving the way for the concept in Port Elizabeth. “As an [energy services company], Energyworx provides its clients with innovative, data driven energy solutions based on their energy requirements, walking them through the various stages to achieve their energy goals,” El-Jabi said. “In the current depressed economic environment, this is a unique opportunity where all parties benefit. “The landlord earns rental income on previously unavailable letting area, investors earn income from the sale of renewable energy, the utility earns income from renting its grid, local jobs are created and best of all, less greenhouse gas emissions are released into the atmosphere,” El-Jabi said. FedGroup provided the funding for the solar project through Impact Investments. FedGroup said: “A new generation of socially conscious investors – predominantly millennials – is driving a prolific trend in global investing. “They want their money to do good in the world, while still realising a fair return. Fedgroup’s Impact Farming investment platform offers investors access to a growing network of crowd-farming ventures that generate solid profits to deliver competitive returns. “From as little as R300, investors can own assets across six accredited farming partners, including blueberry, sustainable honey, and urban solar farms such as the Brylin ILC project,” it said. Emergent Energy is a fast growing solar PV specialist with more than 80 commercial projects completed to date. Emergent Energy business developer Peter du Plessis, said: “It is an exciting time for the solar PV industry, since commercial and industrial property owners now have various financial models available to them. “This enables almost any commercial property owner to benefit from a solar PV system, whether they have capital to invest or not.